WASHINGTON, Oct 1 2011 (IPS) - Home to a fast-growing network of farmers’ markets, cooperatives and organic farms, but also the breeding ground for mammoth for-profit corporations that now hold patents to over 50 percent of the world’s seeds, the United States is weathering a battle between Big Agro and a ripening movement for food justice and security. Conflicting ideologies about agriculture have become ground zero for this war over the production, distribution and consumption of the world’s food. One camp – led by agro giants like Monsanto, DuPont and Syngenta – define successful agriculture and hunger alleviation as the use of advanced technologies to stimulate yields of mono-crops. The other side argues that industrial agriculture pollutes, destroys and disrupts nature by dismissing the importance of relationships necessary for any ecosystem to thrive. According to Frees, one of the worst manifestations of GE/M is the use of Terminator technology, used to cause seed sterility and forcibly eliminate seed saving. "Terminator is a biological means to enforce intellectual property rights, and its introduction into developing countries that rely on saved seeds for 80 to 90 percent of planting could mean elimination of farmers' right to save seeds; dramatically higher seed costs; and poor farmers' inability to survive," he said. "Terminator is morally reprehensible and must be banned," Frees told IPS. Lovera added that between 2001 and 2007, annual U.S. glyphosate use on GE crops doubled to 185 million pounds. "Ubiquitous Roundup application has spawned glyphosate-resistant weeds, driving farmers to apply even more toxic herbicides, according to a 2010 National Research Council report," Lovera told IPS. "Farmers may resort to other herbicides to combat superweeds, including 2,4- D (an Agent Orange component) and atrazine, which have been associated with health risks including endocrine disruption and developmental abnormalities." "In the United States, irrigated corn acreage increased 23 percent and irrigated soybean acreage increased 32 percent between 2003 and 2008," she added. "The rising U.S. cultivation of GE corn and soybeans further threatens the strained High Plains Aquifer, which runs beneath eight western states and provides nearly a third of all groundwater used for U.S. irrigation," Lovera said. "Ninety-seven percent of High Plains water withdrawals go to agriculture, and these withdrawals now far exceed the recharge rate across much of the aquifer." "The worldwide expansion of industrial-scale cultivation of water- intensive GE commodity crops on marginal land could magnify the pressure on already overstretched water resources," Lovera warned. "But these are the crops the biotech industry has to offer." In addition to wreaking havoc on land, GE/M has also filtered into the oceans, with the attempted introduction by Aqua Bounty of GE salmon engineered with a growth hormone gene to grow faster. "Studies suggest that the salmon could be more susceptible to disease; and if it's grown in pens in the ocean and [inevitably] escapes, it could mate with wild salmon and make them less fit, potentially devastating wild salmon populations," Frees told IPS. But a report released Wednesday by the Washington- based Food and Water Watch (FWW) on the destructive impacts of GMOs added fuel to a two-decades-long fight by farmers, economists and experts against the FDA’s conclusions. “Genetically Engineered Food: An Overview” details how the genetic engineering of seeds, crops and animals for human consumption is not the foolproof answer long championed by agribusiness and biotechnology industries to feeding the world. To the contrary, the study found that genetically engineered/modified (GE/M) organisms do not out-perform their natural counterparts, and their proliferation into vast tracts of cropland have caused a slew of environmental and health crises, and actually increased poverty by forcing millions of farmers to “buy” patented seeds at exorbitant prices. The report also says that three U.S. federal agencies – the FDA, the Department of Agriculture (USDA) and the Environmental Protection Agency (EPA) – are complicit in these crises due to shoddy oversight, weak enforcement of regulations and a complete absence of coordination. It found that Big Agro spent half a billion dollars between 1999 and 2009 on lobbying to ease GE regulatory oversight, push GE approvals and prevent GE labeling. This, after attorney Steven Druker in 1999 obtained 40,000 pages of FDA files containing “memorandum after memorandum warning about the hazards of (GE) food,” including the likelihood that they contained, “toxins, carcinogens or allergens” and testified that GE foods violated “sound science and U.S. law”. According to the report, over 365 million acres of GE crops were cultivated in 29 countries in 2010 alone, representing 10 percent of global cropland. “The United States is the world leader in GE crop production, with 165 million acres, or nearly half of global production,” Patty Lovera, assistant director of FWW, told IPS. 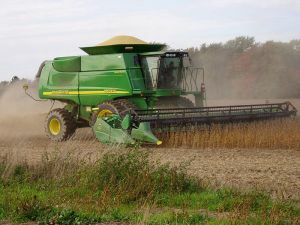 “From only seven percent of soybean acres and one percent of corn acres in 1996, GE cultivation in the U.S. shot up to 94 percent of soybean and 88 percent of corn acres in 2011,” she added. The bulk of these crops came from seeds owned by Monsanto. “Eighty-four percent of GM crops in the world today are herbicide- resistant soybeans, corn, cotton or canola, predominantly Monsanto’s ‘Roundup Ready’ varieties that withstand dousing with herbicide,” Bill Frees, science policy analyst at the Center for Food Safety (CFS) and author of ‘Why GM Crops Will Not Feed the World’, told IPS. “Pesticide and chemical companies like Monsanto, DuPont, Syngenta, Dow and Bayer have bought up many of the world’s largest seed companies, and now call themselves biotech companies – this represents a historic merger of the pesticide and seed industries, which allows them to profit twice by developing expensive GM seeds that increase use of the company’s herbicide products,” he added. “Ancient knowledge systems are to be painstakingly recovered, even if it takes centuries,” he added. Despite the deep pockets and aggressive efforts of Big Agro, a major pushback from a broad coalition of forces has limited 80 percent of GE/M planting to just three export-oriented countries: the U.S., Brazil and Argentina. Nearly two dozen other countries, including the European Union and China, have passed mandatory GE/M labeling, and millions around the world are refusing seed patenting and developing seed banks to protect, share and preserve their seeds. In Florida, the 4,000-strong Coalition of Immokalee Workers (CIW) is organising to resist farm wage-slavery and “seed-servitude”. The Landless Workers Movement (MST) in Brazil has organised 400,000 peasants to join forces with the nearly half-billion farms around the world that are responsible for producing 70 percent of the world’s food. Navdanya, an organisation in the Indian State of Andhra Pradesh, has united 500,000 farmers in their struggle to fight chemical dependency and save indigenous seeds, including preserving over 3,000 varieties of rice. “For five years, the United Nations Conference on Sustainable Development (CSD) had indigenous farmers from all over the globe come to speak against destructive farm practices and GMOs,” King told IPS. “During the Indigenous People’s Permanent Forum, there were complaints about the harm caused by industrial agriculture and the acts in the name of agribusinesses. Farm workers like the (CIW) are protesting their fate,” she added. “Third World Network is fighting back by exploring the problem of GMOs and publishing findings that scientists working on GMOs are capitalists using humans as guinea pigs in a global lab experiment,” she added. “[Numerous] deaths and disabilities have been traced back to a GM product emulating tryptophan. It took nearly 20 years to find the source of the problem,” King told IPS. “GM technology is antithetical to an agroecological approach to agriculture, our only hope for truly sustainable food production,” Frees told IPS.